How late summer calving cows complement abundant crop residue and co-products. 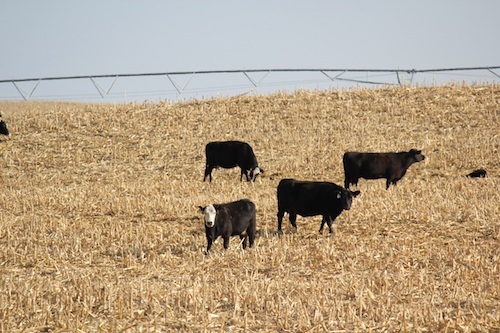 Management strategies for breeding cows that are nursing calves on cornstalks. Approaches for weaning, feeding and finishing late summer born calves. How dry cows can be fed cost effectively in the spring in a lot. Seasonal market advantages of late summer calving cow production systems.